Sara Clasper is a persuasive litigator and effective advocate for her clients. One focus of her practice is litigation involving bankruptcy and creditors’ rights, with banks and financial institutions enlisting her help to protect their interests and secure their claims in bankruptcy estates. While often meeting clients under less-than-optimal circumstances, she instills a sense of calm and order to the process, putting clients more at ease. 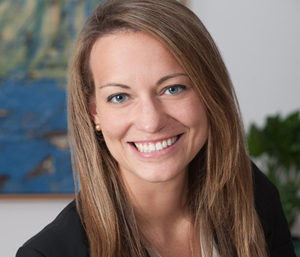 As a commercial litigator outside of the bankruptcy arena, Sara represents national and community-based property management companies throughout Maryland, D.C. and Virginia and provides various services, from bringing actions on behalf of landlords and property managers to defending housing code violation cases. She also negotiates and, if necessary, litigates disputes related to loan documents, lines of credit, contracts and general business matters. While serving as a judicial law clerk to the Honorable Laura S. Kiessling, Administrative Judge of the Circuit Court for Anne Arundel County in Annapolis, Maryland, Sara worked extensively on complex cases at every stage of litigation, including confessed judgments, multi-state garnishment actions and exceptions to foreclosures. During law school, she interned with the Department of Justice, the State’s Attorney’s Office for Montgomery County and for the Honorable Marcus D. Williams of the Circuit Court for Fairfax County. “A Tale of Two Minority Groups: Can Two Different Minority Groups Bring a Coalition Suit Under Section 2 of the Voting Rights Act of 1965?” 63 Cath. U. L. Rev. 271 (Fall 2013).